For the ones that haven't noticed, half of 2012 is gone! Anyway. yesterday was a busy day photographically speaking. I left the house early morning for a large commercial shoot with an Architectural client. Even though it wasn't the easiest of jobs; climbing 50 feet high cranes for aerial photos, shooting all day in +40C temperatures, it was great fun and very rewarding! 10 Hours later the end result was more than 50 gigabytes (yes!) data on digital film! The overall mission was to document several of the client factories and come up with some interesting environmental portraits, product details and architectural images. Probably the most challenging task was making outside group-shots with more than 250 people in one shot. Unfortunately but for obvious commercial privacy reasons, I won't be able to share most the images online with my blog-readers. 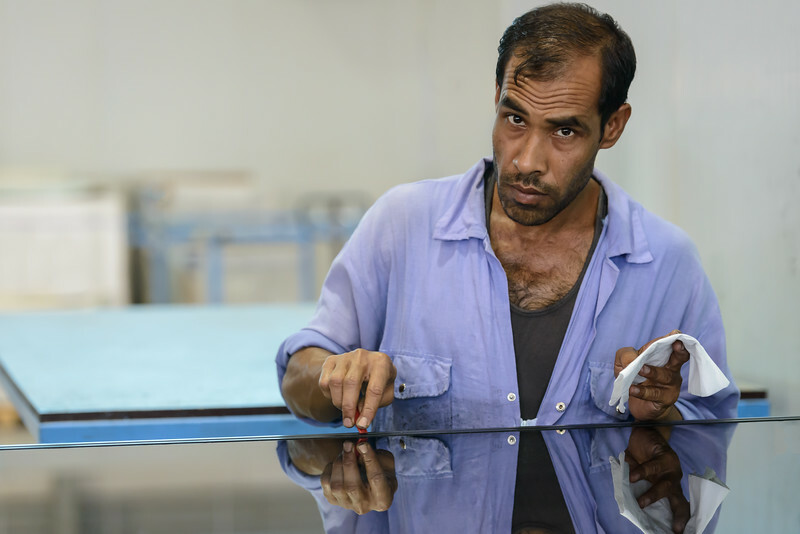 One image that I can share, is the image above of a worker on the job! Given the limited amount of light and the high pace of the shooting, using flash was not very practical. Shot at ISO 3200 on the D800, I'm pretty happy with the noise and I especially like the reflection on the glass panel! While I've now started the editing process of the close to 1000 images, the client will probably get a collection of between 400 and 500 images. Exactly 50 days ago, the UPS guy showed up with my brand-new Nikon D800 camera body. Since then, my main D700 camera changed owners and I'm now primarily shooting with the new Nikon mega pixel monster! It looks like 2012 will be the "year of the pixel resolution"; first the new iPad with the amazing retina display, the D800 as the highest resolution on a DSLR ever and earlier this month the new Apple MacBook Pro with its retina display. Above, I did however make a 3 minute slideshow with a compilation of some of the D800 images I shot over the last 50 days. Make sure you watch the video full screen and that you click HD ON in the right bottom corner. Enjoy! In one month, I'm off to Iceland for another photographic adventure. Perfect place to make Nikon latest baby, shine! Most visitors to Venice limit themselves to the main island. There is however a lot more to see within a one hour boat ride of the "City of water". Earlier this week I was on the colorful island of Burano, a small island with a real village feel, known for its lace and colorful houses. A photographers paradise! The pastel colors on the house above are however much more subtile. I particularly like how the harsh shadows on the left, keep the viewer focussed. I've also been intrigued why I like the play of the cyan and green colors in this frame. A lesson on the color wheel tells us that complimentary colors (straight across) work better than adjacent colors. As you can see cyan and green or however next to each other. Another rule has just been broken! 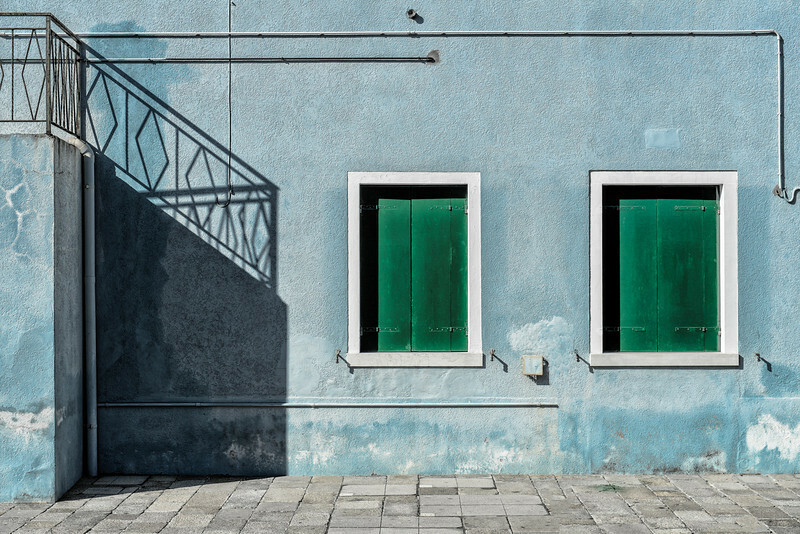 More dramatic color images of Burano can be found here. 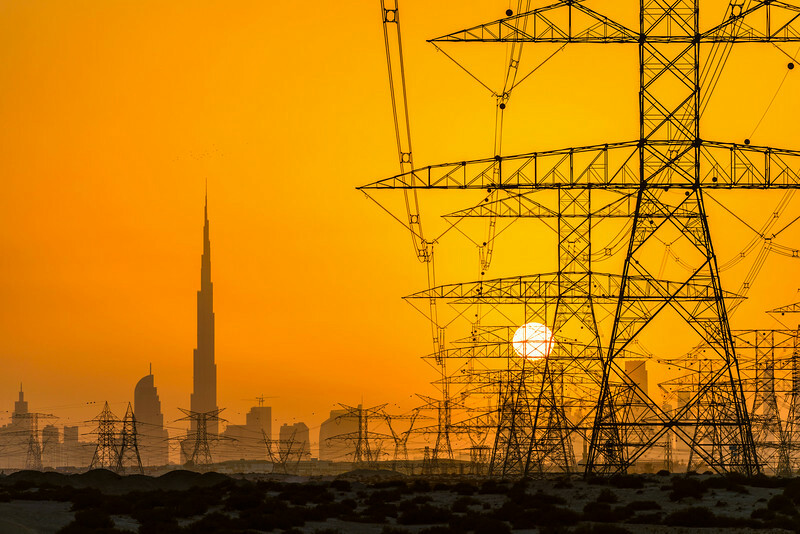 First time visitors to Dubai often comment on the amount of high tension electricity lines across the Dubai desert bordering the East side of the city. It is no secret that Dubai has a huge demand for power. Today the primary fuel for electrical power generation is still gas, while there are plans to go to clean coal (whatever that is...?!) and solar power generation by the end of the decennia. By the end of 2030, several nuclear reactors should be sourcing our power needs. The image above was shot just before sunset and show some of the high tension lines powering up the city. I really like the amount of detail my new Nikon D800 is providing me. Look at the flock of birds just above the Burj Khalifa! More architectural images of Dubai can be found here.